Waking to an alarm after an extra long weekend isn't my idea of bliss. 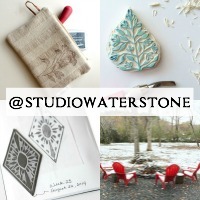 But waking up to an alarm to discover that Studio Waterstone made Etsy's front page this morning is a horse of a different color! My first front page and on Cyber Monday, to boot! Let's just say it ended up being a three cup Godiva coffee morning - a veritable red letter day. Since this is crunch time for me, I decided to show you a few of my favorite tutorials. In the unforgettable words of dear Mr. Darcy, "I love, love, love, you these fabulous tutorials." Enjoy. A real DSLR is at the top of my wish list for next year. When I do splurge, this camera strap is the first thing I will make to carry my new pretty. It's by Michelle from Michelle My Belle. Isn't that the coolest looking camera strap EVER?!?! 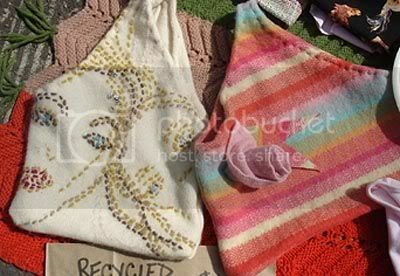 This tutorial is from a site called whipup.net and I have no idea how I meandered over, but I'm simply enamored with these easy, recycled sweater bags - especially the embroidered one. Me thinks that it shouldn't come as a surprise that I'm a scarf freak. I have every reason to love scarves as they are very pretty and hide a multitude of sins. 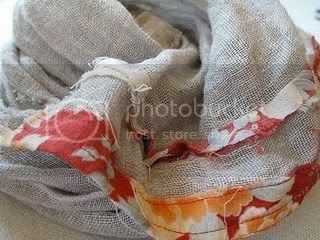 This scarf tutorial from One Flew Over had me at scrunchy linen. 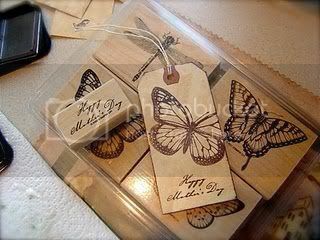 This particular tutorial from The Empty Nest sparked my inspiration for using shipping tags on my handbags. These tags are ADORABLE and make me want a strong cup of coffee REAL bad. That's all folks. If you're half as inspired as I'm feeling right now, you're running for your box o'stuff, your credit card, keys, and a map to the nearest supply store. 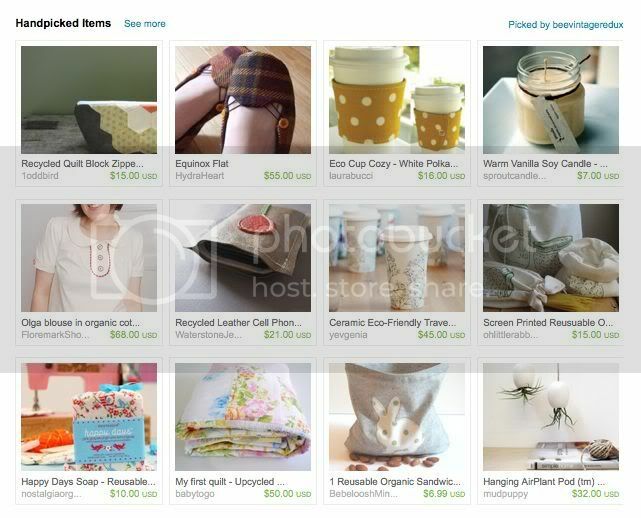 A Big congratualations on the Etsy front page, Wow!!.. And thanks for hooking us up with the great tutorials. Thanks for visiting and wishing me all the best on my new venture. Ohh I don't know what I'm getting into but it's exciting and Etsy is incredible to be out there - there's so much talent so easily accessible ;D Love it! I just upgraded my dslr and can't wait for the new one to arrive on Wednesday. Having a fancy schmancy neck strap makes it that much better! 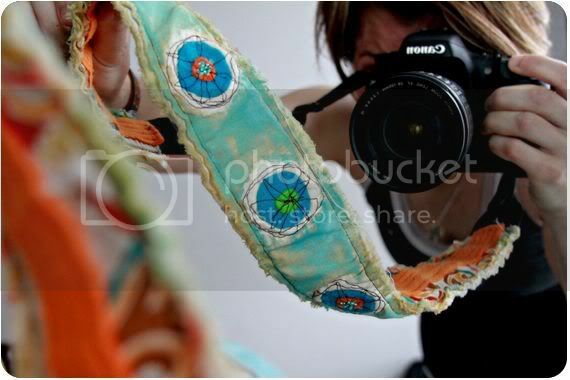 and i have been wanting a new camera strap and that one is absolutely fabulous!! Wow, congratulations! I think I'd be breaking out the champagne. I am not surprised, however...you have amazing products! I still feel like I'm searching for my identity. Great tutorials. Congrats on your front page! On Cyber Monday too...woohoo! congratulations on front page! and thanks, as always, for the tutorials. very inspiring. you're right, I want to break out my box of stuff and get to work! etsy's front page on Cyber Monday! Yes, a 3 cup Godiva morning was fabulous way to begin. Congratulations on such a marvellous and well deserved placement. wow! front page on etsy. that's awesome. congratulations! Hmmm…a new camera strap for my Nikon. That should have been at the top of my wish list. They are gorgeous. ...and congratulations on the front page!